I don’t believe Deformer is intended to be a series of singles or stand alone songs. Whether it was the intention of the band or not, prior Dog Day releases were song after song of fantastic, hooky indie rock songs that played well within or without the confines of their records. Deformer though, doesn’t have that consistency. It’s a bit more cut-and-paste, more off-the-cuff. Yeah, the poppier and catchier tracks really hit home on a gut level, but they wouldn’t work as well as they do without the other tracks — the less hooky songs, the ones that maybe aren’t as fully formed. Though it’s because of those songs that I had met the album with a certain level of indifference, you can’t forget that they didn’t exactly fall onto this record accidentally. Remember, this is a record made by a married duo who have taken to living alone in the forest to escape external pressures and worries (see: “In The Woods”). It’s been poured over by two sets of hands, day after day and night after night. The environment that Deformer was created in has very much had an impact on the final product. Which is why it’s hard for me to think about Deformer without focusing on the lyrical content. It sounds like a couple who are bearing it all to each other through their songs. Especially when you hear lines like “Need to make some changes / Need some fresh feelings / I don’t know if this will work” on “Part Girl”, but the band sings “It will be different but I / Still want you part of the time” as the hook. On “Think Positive”, Seth bleakly sings “We’re running out of things to fight about”, but juxtaposes with a chorus of “Think positive / Remain positive / I’m positive”. Lyrically they’ve opened a window into their lives, worts and all. When they’re not hitting you with a hook, they’re hitting you with an emotional punch. That’s the push-and-pull of Deformer. Sound-wise, this isn’t a far cry from some of Dog Day’s earlier records. There’s still keyboard flourishes for example, but everything is draped in a shroud of fuzz and reverb. I would have actually liked to see Dog Day take an extra step into noise territory — like what they did on “New Beginning” off the Elder Schoolhouse vinyl — but the focus on texture here is very nice and it helps the record segue from song to song. 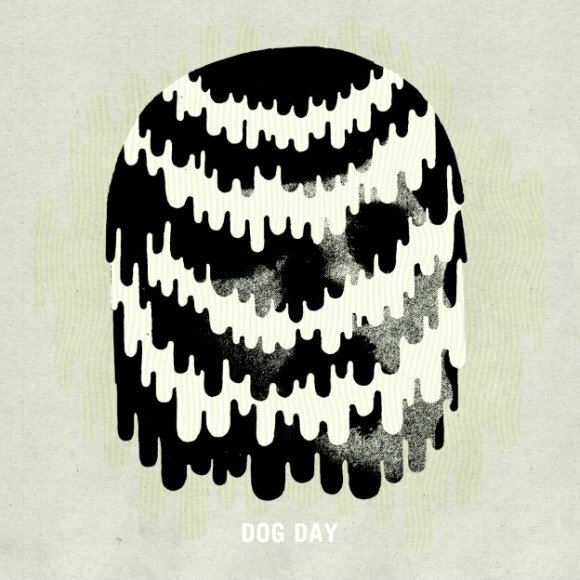 So, think of Dog Day’s Deformer like a miniature Canadian Guided By Voices record. It’s also a lot like something you’d expect from Eric’s Trip. There’s a lot going on, lots of ideas floating around, some noise, a few killer hooks and a lot of fantastic lyrics. It might not all hit the bullseye, but that’s exactly why it works so well. It has taken me a while to fully process everything here, but the more I listened the more I could hear Deformer‘s tracks melding together to form a whole. And now that time has passed, those tracks I initially didn’t like have become some of my favourites. In the end, it succeeds at being exactly what it sets out to be, and I think Dog Day deserve acclaim for creating something that resonates on as many levels as Deformer does.